Even though Andrew Cartmel’s Animal is part of Doctor Who: The Lost Stories and marketed primarily on the basis of nostalgia, I’m going to try to review it without making comparisons back to Seasons 25 and 26. Just to see if I can, and if that results in a more positive understanding of the release. Animal directly follows on from its predecessor… sort of. Crime of the Century saw the Doctor, Ace, and Raine discovering that the robots they’d fought in 1989 came from Margrave University. Wanting to investigate this, they set off for Margrave University in the TARDIS, only to arrive there in 2001. Strangely, no-one in Animal mentions the robots, nor do they seem remotely interested in the 12-year miss. Fortunately, they discover that something else is afoot when Brigadier Winifred Bambera and a cadre of UNIT troops pop up. “Afoot” might be an exaggeration, as Animal is the longest hour-and-50-minutes you will ever spend listening to a Big Finish audio drama. I’m not remotely sure how they managed to fill up that much time, because certainly nothing happens in this story. In Part One, Ace and Raine infiltrate a campus organisation dedicated to the liberation of animals in two seconds. Meanwhile, the Doctor and Bambera look at some plants. You might think these plants are important to the plot for all the time spent on them, but they just turn out to be a convenient way to resolve the actual plot of the story. Animal suffers from similar structural problems to Crime of the Century, actually: there are multiple unrelated storylines, which only intersect when one can provide a convenient way to wrap up another. Even when important things do happen in this story, they’re often only related to us. For some reason, once the aliens show up, all their major actions are only depicted via the Doctor and Bambera talking to each other about things they both already know. Honestly, I’m desperately trying to remember what actually happened in Animal, because I’m coming up with about four things, and I can’t see how those took up all that time. There’s a lot of running around, I think. People keep on not doing things for no apparent reason: UNIT can’t communicate with the outside world, and the Doctor figures out it’s a satellite dish some guy built, and he uses the satellite dish for all sorts of things… but never turns off the jamming. Why? Who knows. The crap plot might be remedied by there being solid character work, but there’s not. Cartmel’s Doctor is curiously inactive, standing around and watching things until he arbitrarily devises a plan at the end — but not before the malignant aliens capture a bunch of innocent humans. Cartmel gives him a lot of comedy bits… it’s a shame none of them are funny. Neither Ace nor Raine is well-served by this script, either. The story gives them some really awful clichéd bitchiness, which alternates randomly with them telling each other how awesome they are. In the extras, both Cartmel and Beth Chalmers talk about how Raine resents Ace because she’s a reminder of the background she’s only half-escaped… it would be nice if this was remotely confirmed by the writing. The story has a potentially interesting idea in Raine’s reactions to the future, only they occupy two minutes at the end of the story, by which point I’d switched off a long time ago. Neither character has enough to do, so I’m not sure why this story has two companions in it. I was excited to hear the return of Brigadier Bambera, reprised by Angela Bruce from Battlefield, but she spends most of the story threatening to file reports when the Doctor misbehaves, which is about as dull as you can get. She’s accompanied by Sergeant Henrick, who the script can’t decide whether he is a comedy sidekick or the kind of person who murders innocent civilians in cold blood. Or both, hahaha, hilarious. 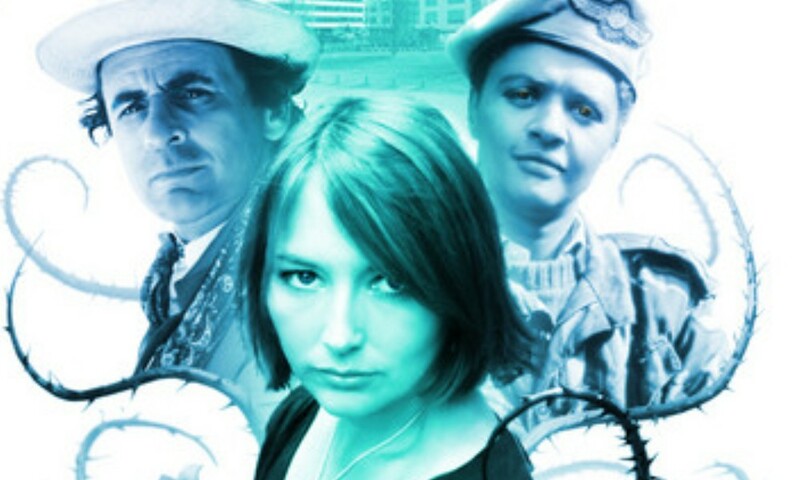 The other characters are a somewhat implausible Dannielle Brent as Willa, and Anthony Lewis as Scobie, who’s like Rattigan from The Sontaran Stratagem, but somehow less charismatic. I think these characters are supposed to have an interesting emotional story, but who knows, because I could never figure out Willa’s motivation for any action she performed. Ditto Scobie, actually, whose plan changes every other scene, and calls some aliens that he knows… somehow? There’s some other people, but I honestly always got them confused with Willa and Scobie. And then there are the Numlocks. The extras rightly praise John Banks for his performance (though the extras keep on going on about them being funny, which is not remotely true, and nothing is duller than listening to Angela Bruce laugh at something that’s not actually funny), but in writing, concept, and execution, they are a by-the-numbers Who villain — literally. Andrew Cartmel keeps on talking on the extras about how they’re scary, and I can’t even remotely conceive what might be scary about them, aside from their penchant for bad puns. Their method of speaking is obnoxious, dull, and slow. The direction is weirdly off, too. I mean, none of the cliffhangers are exactly genius as written, but they’re all duds on performance, especially Part Two, which should be at least somewhat interesting. Director Ken Bentley talks a bit in the extras about how Cartmel’s writing is so different because it jumps around in tone and the structure is weird and the tension is unusual. “Different” is one word for it. “Terrible” might be another. Animal (by Andrew Cartmel; starring Sylvester McCoy, Sophie Aldred, Beth Chalmers) was released by Big Finish Productions in June 2011.